Snowflakes is a combination of beautiful design, frosty blue sparkling linen and cool tranquil threads. 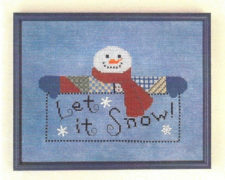 An ornamental border of small snowflakes surrounds three large decorative snowflakes in stell grey, blue and antique vilet. 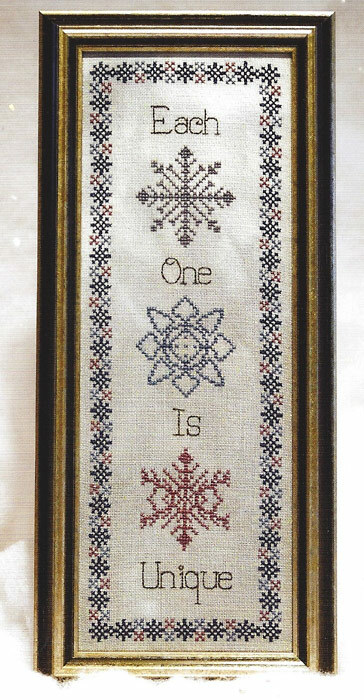 The words “Each One Is Unique” are spelled out in dark grey above each snowflake. 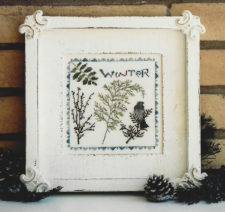 The 28 ct. opal cashel linen is called “Winter Winds” in frosty blue with iridescent sparkles. Soothing tranquil colors in blue, grey, and violet stand out perfectly against the frosty blue line.